The Great Raymondo and a Hotel are ready to house some new people in town! Join us right after the jump for the part 1 of the act 2 premium walkthrough! The Great Raymondo: For the last time, I’m not coming out of retirement! Lisa: But we need every able-bodied magician in Springfield to rise up! The Great Raymondo: I’m hardly “able-bodied”. My wand droops, there’s rabbit bones in my magic hat, and I take a lactose blocker so that I can still perform my “Great Milk Can Escape”. The Great Raymondo: As I told you before, I save my magic for showmanship, not self-defense. Lisa: You taught me how to get past locks. I’m not leaving until you agree to come out of retirement. The Great Raymondo: I really should have skipped the breaking and entering lesson. Fine, I’ll help. The Great Raymondo: Now that I’m out of retirement, refresh my memory. What is it that we’re doing again? Lisa: Using our magical powers to fight and catch mystical beasts! The Great Raymondo: I coulda sworn we were doing card tricks or pullin’ quarters outta people. The Great Raymondo: But fighting mystical beasts… that’s a career killer for a magician. Or probably anybody, now that I think about it. Lisa: Ugh, fine. No battling beasts to help us. Then how about putting on a show? Milhouse: Wait! The Great Raymondo is not helping us get rid of the monsters?! I can’t fling cards like Ricky Jay to save us! I can’t!! Lisa: *slap* Snap out of it, Milhouse! Milhouse: Oo-la-la, our skin touched, Lisa! The Great Raymondo: Alright, I will come out of retirement! 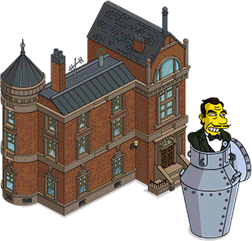 If only to put smiles on the poor, downtrodden citizens of Springfield… and a modest appearance fee. Milhouse: How did he get out of there without even a milk moustache?! This is just as terrifying as the monster thing! The Great Raymondo: Why so down, my apprentice? Lisa: I just haven’t had a great track record of role models living up to their expectations. The Great Raymondo: Young lady, you’ve said enough. If I can do six nights a week in Vegas in front of Blue Man Group, I’m sure I can handle a couple green monsters roaming the streets. Comic Book Guy: A themed hotel? For the role player with expendable income, the website suggests a three-night all-inclusive package. Comic Book Guy: Well, one can’t roleplay an impoverished tavern goer without paying a pretty penny for a penthouse suite. Comic Book Guy: I’ll collect tavern dregs and Starwood Points at the same time. 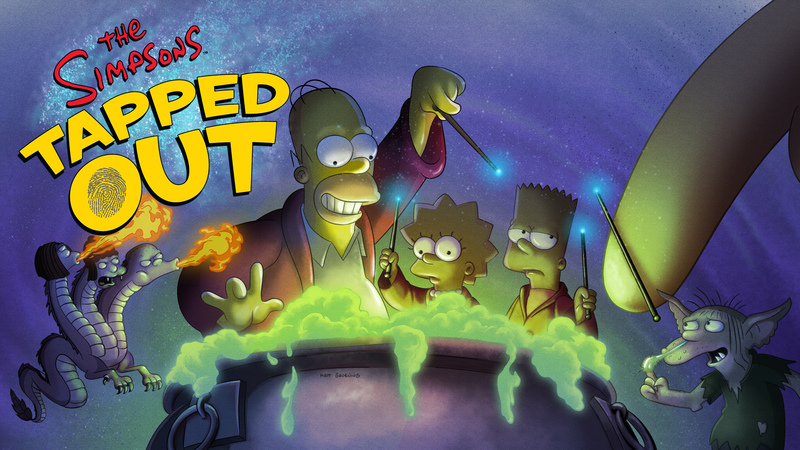 Next Treehouse of Horror XXVIII: Returning and leaving items in the store!